Believed to have been inspired by a late night drive into Ottawa for a funeral (see below), "Greasy Jungle" references classic film, an actual funeral home, and a rain slicked capital city. When a rain storm leaves a city's streets greasy and reflective, you can see the towns highlights and high-rises shimmering in each puddle. If you were driving into the city at night, as legend has it Gord was, it would quite literally be a metropolis noir or "dark city." These dense puddles of reflection in a city that certainly sleeps, a greasy jungle, may be an allusion to Metropolis, the dark, creepy, but classic silent film. The movie was famously shot using mirrors (because proper equipment for matte or projected background techniques did not yet exist) and was intended to reflect the dark realities for the average city dweller while romanticizing the Marxist-Leninist movement. The strange cityscapes were intended to show how capitalist and industrial societies would evolve into hulking, ominous and oppressive domains. "Metropolis: City Noir" is an excellent academic look at the film, and its title hints at the connections between this 1926 expressionist work, and the film-noir style that would follow it. A metropolis is a large and densely populated urban area. Despite what Sim-City may have taught us, there is no general level of population that qualifies a city as a metropolis. It's a subjective term. It's also where Superman lives. 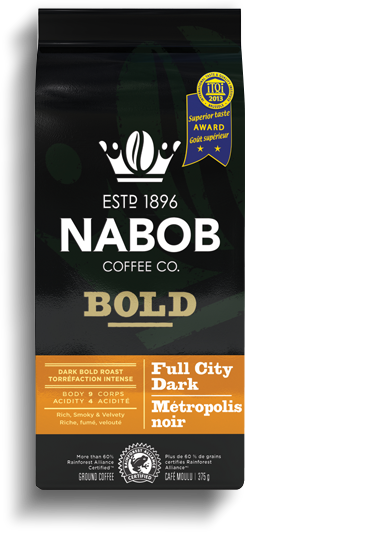 "Nabob "Full City Dark / Metropolis Noir" coffee. Only Gord knows if this references the brand of coffee available in the "Greasy Jungle" where he did the dishes, or the brand served at the funeral home." Hip Head Sean Gosse also points out that the reference to the coffee is strengthened by the fact that at the 3:06 mark of the song, Gord literally says "full city dark." your funeral home's sandwiches and coffee." Hazeldean Rd. is a large thoroughfare that stretches east and west across Kanata, Ontario: part of Canada's capital city of Ottawa. A letter by Leslie McKay in the August 20, 2016 Stittsville Central explained that a man named Bill McKay was living with the parents of Gord's wife, Laura Downie, as he awaited a double lung transplant in 1992. Sadly, he passed away when the surgery was unsuccessful. It stated that the Inevitability of Death and Greasy Jungle were written for Bill. His daughter, Leslie McKay, wrote that Laura and Gord took Bill on tour and became very close: "Gord was like the son he never had. Inevitability of Death was written for him after he passed away from his double-lung transplant. Greasy Jungle was written after Laura and Gord attended his wake and funeral in 1993 at Tubman's Funeral Home before coming to our house." Thanks to Mike Twittey for pointing out this letter. making moves that just weren't there..."
"The Tragically Hip wrote two songs in 1993/94 on their Day For Night album for my father. They wrote Inevitability of Death and Greasy Jungle for him. At the time, my sister was on the gymnastics team at Queens. The lyrics 'soulful gymnast above the snow' [were written about] our backyard. They also made a really special t-shirt for Dad which I have and the notes they wrote when he received his lungs."